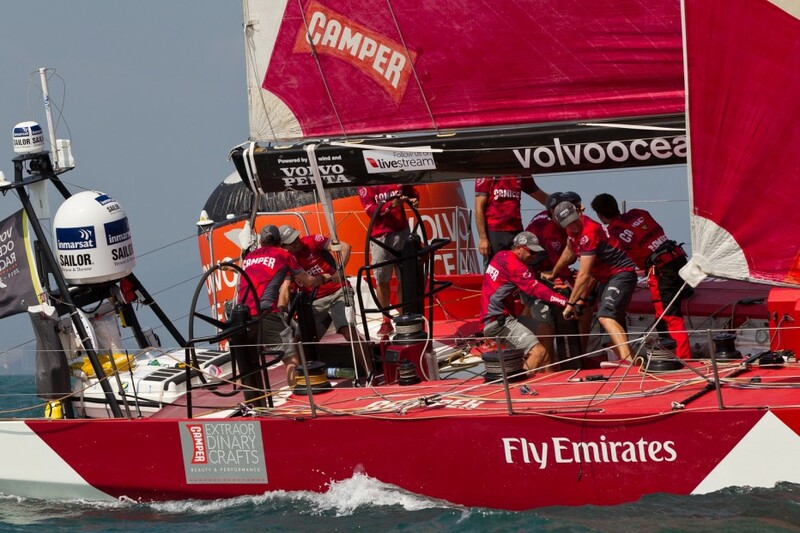 Camper were the first team to pay a hefty price as the Volvo Ocean race fleet raced at breakneck speed down to Auckland in Leg Four. The NZ/Spanish team’s pursuit of leg leaders Groupama was set back with a torn jib while hurtling south in the Pacific at speeds of more than 20 knots. SEW TOUGH: Daryl Wislang and Rob Salthouse repair the damaged jib on board Camper. 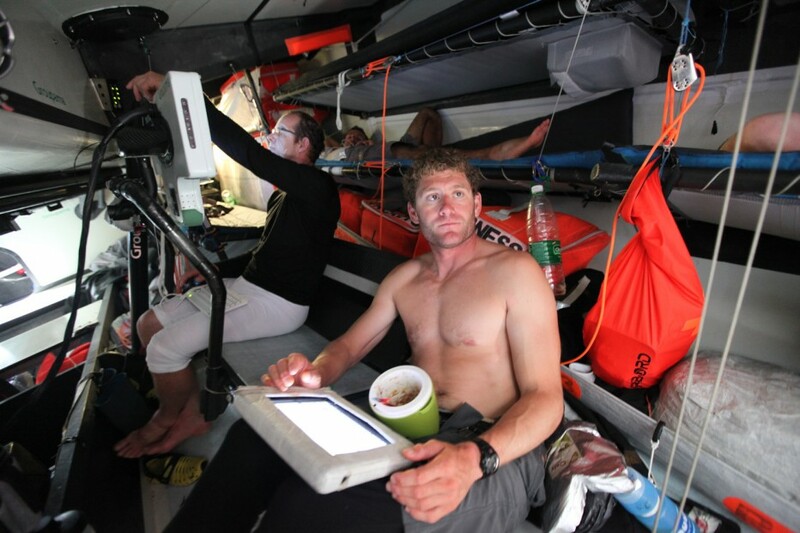 The breakage dropped Camper back down the pecking order and skipper Chris Nicholson admitted they faced a battle to stem the bleed of miles as the leaders sailed away. Camper’s plight was in contrast to Groupama, Puma and Abu Dhabi who each sailed more than 500 nautical miles in a 24-hour period as speeds soared, leading to speculation that the distance record could be under threat. 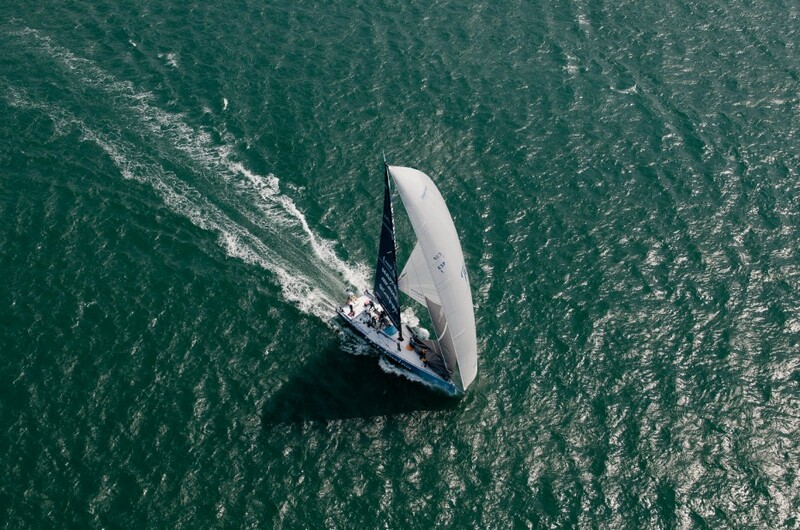 The 24-hour distance world record of 596.6nm was set by Ericsson 4 in the 2008-09 Volvo Ocean Race. 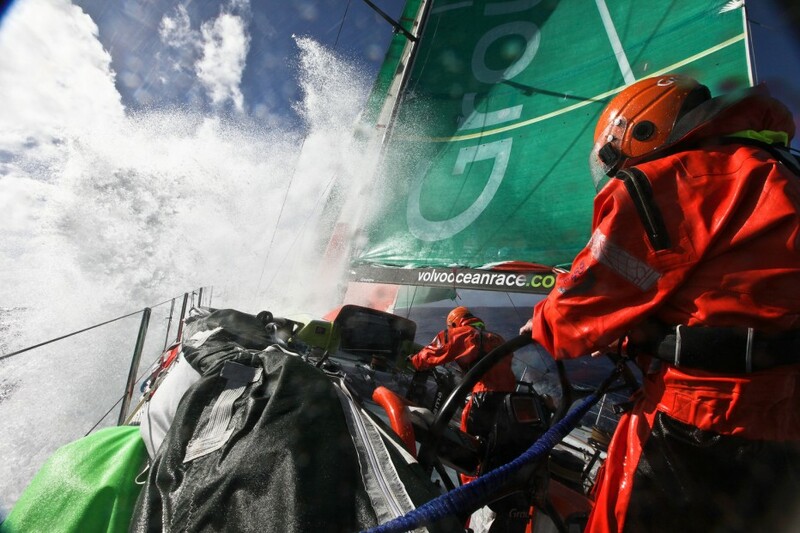 HEADS DOWN: Camper crew members brace themselves as the fleet races at top speed. 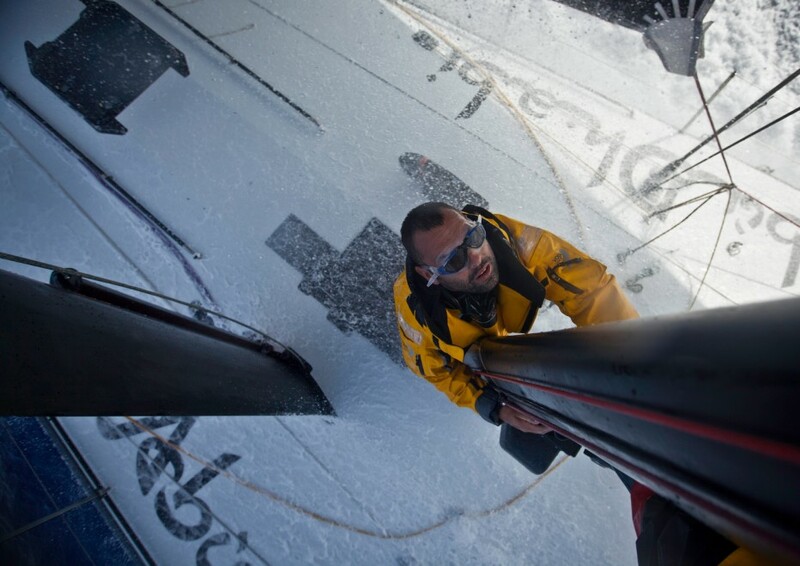 Ken Read’s Puma were first to crack the 500-mile mark on the leg as they moved up into second place behind Groupama. Puma clocked an impressive 522.14 nm at an average speed of 21.7 knots, with Groupama responding with a run of 501nm, averaging 20.9 knots to maintain their lead. WEATHER EYE: Groupama crew members Charles Caudrelier and Jean-Luc Nelias check the meteorological conditions. SANYA SIDE UP: David Swete helms Chinese Team Sanya as the sun beats down. 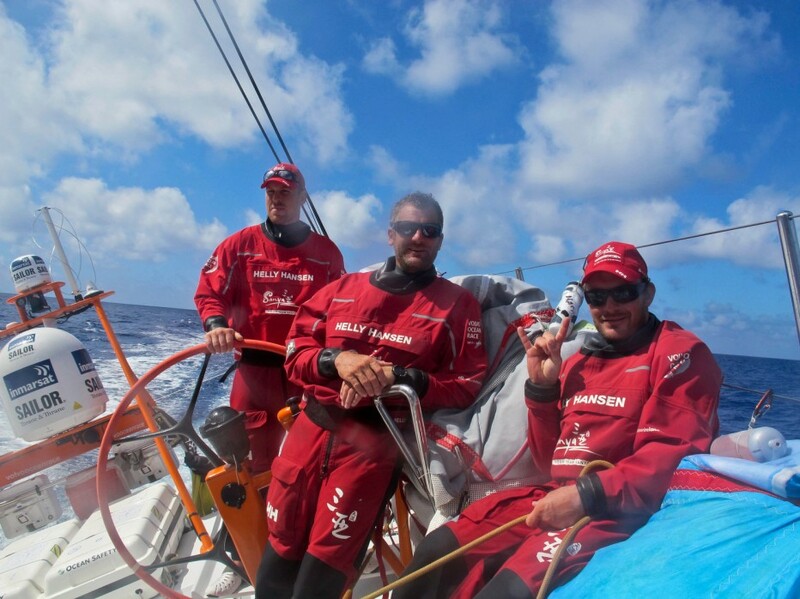 Puma crew media member Amory Ross said: “A distance of 523 miles in 24 hours is a lot of miles for a sailboat. “It feels good to be going fast, psychologically at least! Sailing this way is fun, and it’s what everyone thinks about when they sign up to sail around the world. HAPPY CAMPERS: Camper were making good progress before tearing their jib. PLAYING CATCH UP: Overall leader Telefonia cuts a lonely figure as it attempts to make ground on leg leader Groupama. Groupama’s position furthest south and east of the fleet put them in the strongest position and the French entry, skippered by Franck Cammas, look ready to break overall leader Telefonica’s monopoly on leg wins. 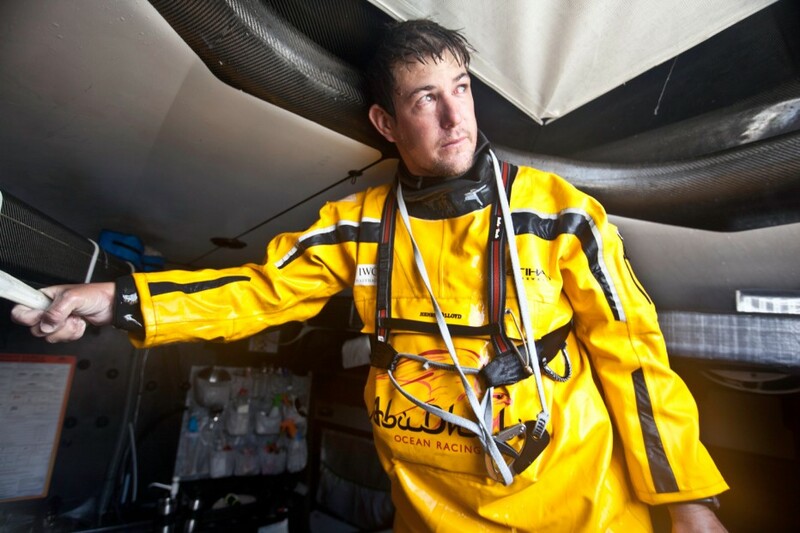 GOING UP: Abu Dhabi’s Wade Morgan contemplates going aloft.